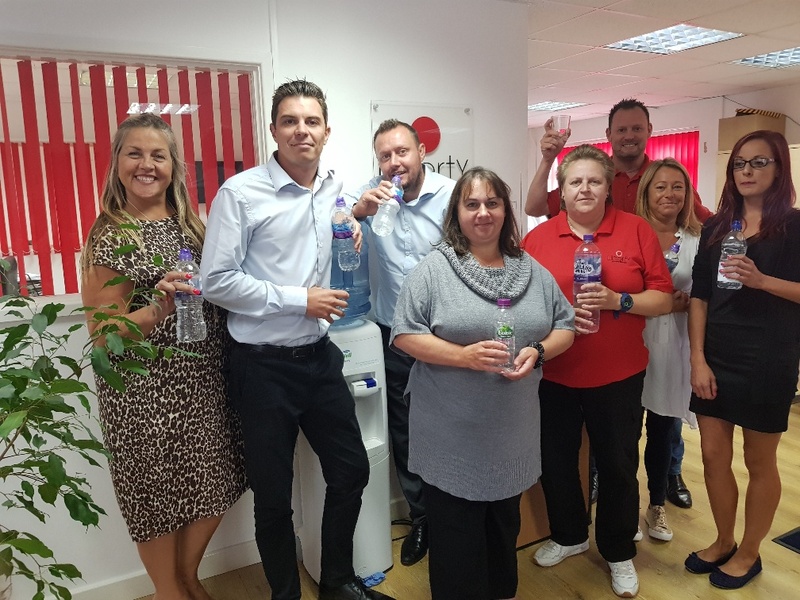 As a busy and expanding company, Liberty Hygiene expects their staff to perform at the highest level to deliver the best possible service to its clients. However they are also aware that their staff are their greatest asset and need to be looked after. This is why they have employed Ashley Bishop of Expert Bodyology to work closely with staff members to help them become fully energised from the moment they wake up till they go to bed. The first step is a 30 Day re-energiser Challenge. This involves creating 2 new simple habits that have a big impact. The 2 habits in question are hydration and a 5 minute morning motivator routine. Ashley completed a 1 hour on site training session with the staff to explain to them how habits are actually created as well as discussing the benefits of both new habits and how to implement them into busy lifestyles. Then the fun part: this is a team challenge so everyone taking part is included in a private online group to share daily successes, ask for some help or ask a question. This group will also be used for weekly accountability to ensure that everyone is taking daily action towards creating these new habits.